Johnson & Johnson’s Janssen Research & Development will use BiomX's XMarker platform to discover microbiome-based biomarkers for inflammatory bowel disease (IBD), BiomX said today, through a collaboration whose value was not disclosed. Janssen R&D will apply XMarker to stratify responders and non-responders to IBD therapeutics, BiomX said, in an alliance facilitated by J&J strategic arm Johnson & Johnson Innovation. The XMarker platform is designed to use a metagenomics-based approach to decipher full microbial genomic signatures that can be further developed into predictive biomarkers. The platform combines ultra-high-resolution DNA analysis, machine-learning techniques and high-scale cloud computing resources to build classifiers of high sensitivity and specificity, according to BiomX. BiomX’s pipeline includes the IBD candidate BX002, a customized phage cocktail aimed at eradicating proprietary bacterial targets associated with the onset of IBD. 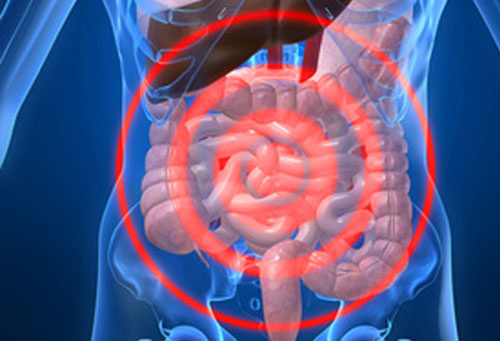 The targets, discovered by Kenya Honda, MD, PhD, of Keio University School of Medicine, were shown in a study last year to be pro-inflammatory and may have a role in the onset and aggravation of IBD. By targeting a possible underlying cause for the disease, BiomX asserts, BX002 differs from existing medications offer only symptomatic relief. BiomX has said it plans to file an IND application with the FDA for BX002 in 2019. XMarker and other BiomX platforms use computational and synthetic biology, as well as research from Profs. Rotem Sorek, Ph.D., Eran Elinav, M.D., Ph.D., and Eran Segal, Ph.D., both of The Weizmann Institute of Science; and Prof. Timothy K. Lu, M.D., Ph.D., of MIT. Headquartered in Ness Ziona, Israel, BiomX was previously named MBcure. The company was founded in the FutuRx Ltd. incubator, with the support of the Israel Innovation Authority. Just yesterday, BiomX signaled its intent to advance its IBD and acne programs into clinical phases, as well as establish a U.S. presence, by announcing its appointment of Sailaja Puttagunta, MD, as Chief Medical Officer, citing her experience in conducting Phase I to IV clinical trials. BiomX said its IBD program is expected to commence clinical trials in 2020, a year after the acne program is projected to enter the clinic. In May 2017, BiomX raised $24 million in Series A financing, with proceeds intended for continuing to enhance its proprietary microbiome modulation platform technologies, as well as advancing its novel therapeutic pipeline towards clinical stages. J&J’s venture capital subsidiary, Johnson & Johnson Innovation-JJDC, joined OrbiMed and Takeda Ventures in leading the financing round, with participation from Seventure Partners, MiraeAsset, SBI Japan-Israel Innovation Fund and other unnamed European investors.